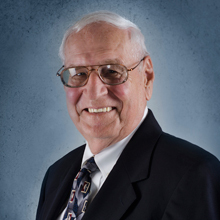 FSF Manufacturing | Jim AmRhein Sr.
Jim founded FSF Manufacturing, Inc. on September 5, 1984. He began with five employees and when he retired on December 31, 2012, he had 155 employees. He remains on the Board of Directors, continues to quote jobs, run errands, and help out where necessary.